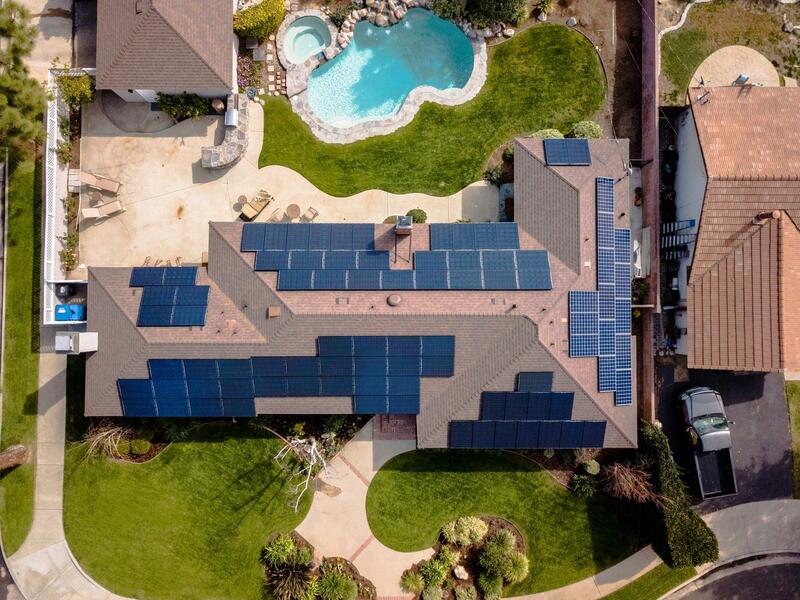 25 years: Contractor warrants workmanship with full roof integrity protection under the solar array for a period of twenty-five (25) years following completion, and serves as the point of contact for any module or inverter malfunctions over the life of the system. 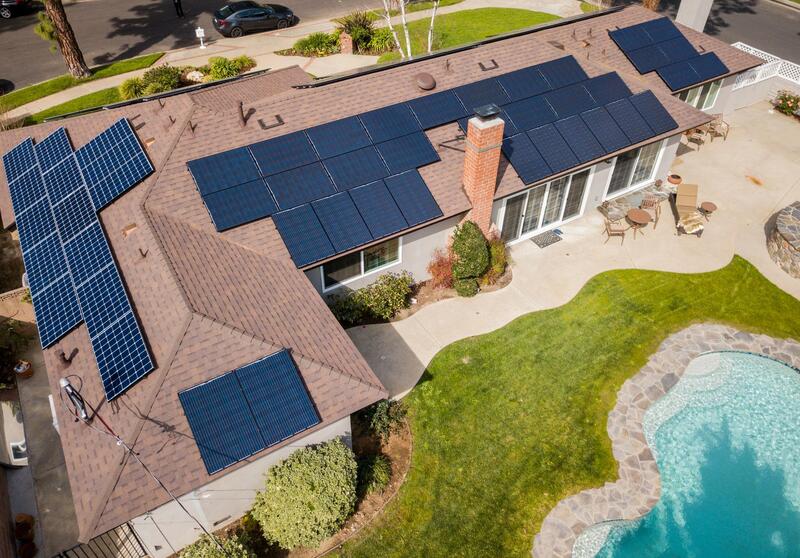 NABCEP Installation Professional Certified, California Solar & Storage Association, Sunpower Authorized Dealer, Sonnen Battery Approved Installer, LG Resu Certified Installer, Solarworld Affiliate, Enphase Installer Network, SolarEdge Certified. 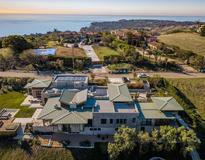 - Starting almost a decade ago with our own home as our very first project, we think of each system we add to the world and every roof we touch as an extension of our own. 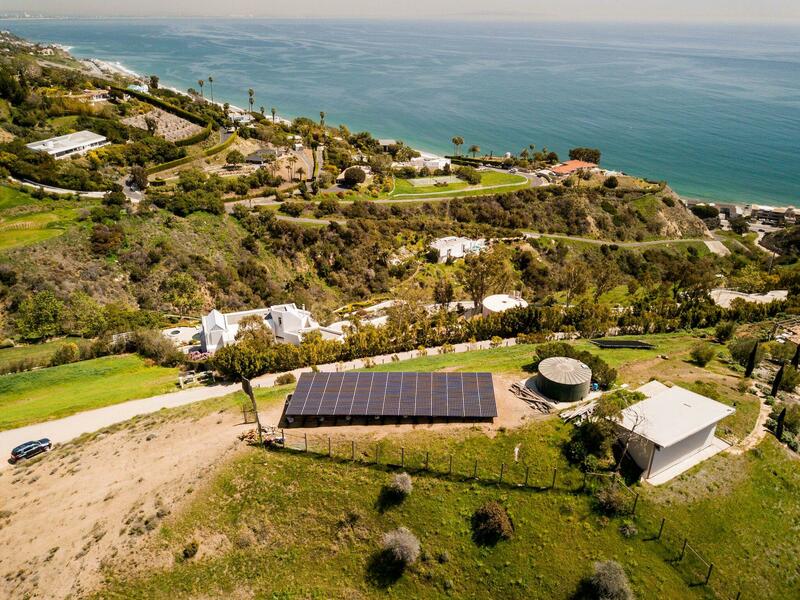 - We grew out of the heart of solar, developing a versatility and deep wellspring of solar know-how that's allowed us to effectively branch into commercial & industrial, energy storage and efficiency, and EV systems throughout the region. - We're nimble, and accustomed to taking on complex custom projects, with over 10% of our business coming from repairing work done by larger installers. 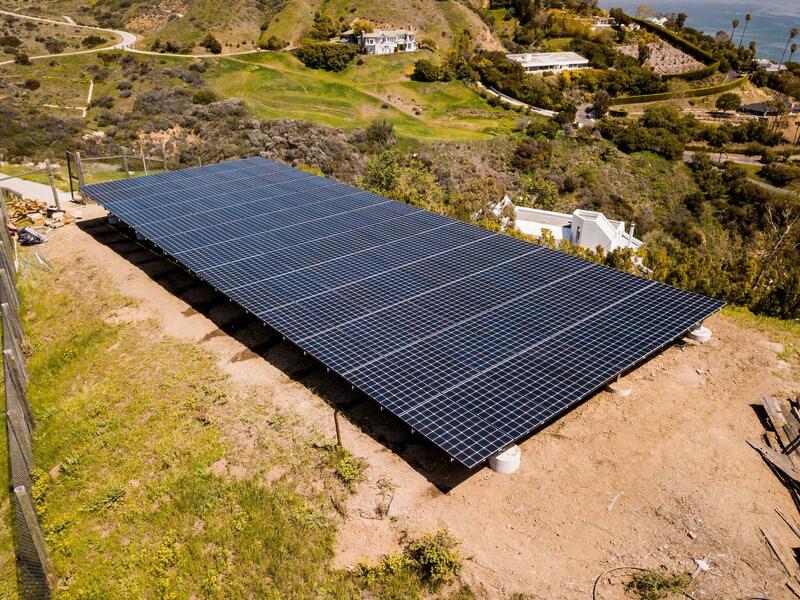 - Our success didn't happen overnight - we worked as preferred subcontractors to some of the most prominent national solar companies, before taking on our own projects. - Our projects are consistently featured by inspectors as demo sites for trainees showcasing the fundamentals of solar workmanship executed right. - We enjoy excellent relationships with city personnel in each and every jurisdiction we service. 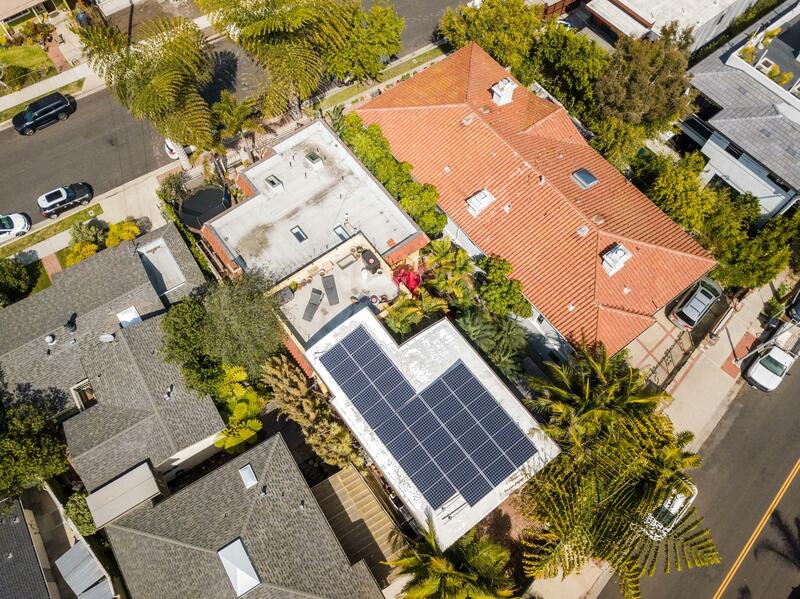 - We educate first, build second: we explain time-of-use rates, net metering changes, the evolving "duck curve", and bring it all together to our customers in an easy to understand way. We relish in helping our clients find out exactly how they are not only saving money, but investing in the solution of one of the great societal challenges of our time. - We promote the low-hanging fruits of energy efficiency and water conservation along with solar, knowing full well that it means installing fewer panels. 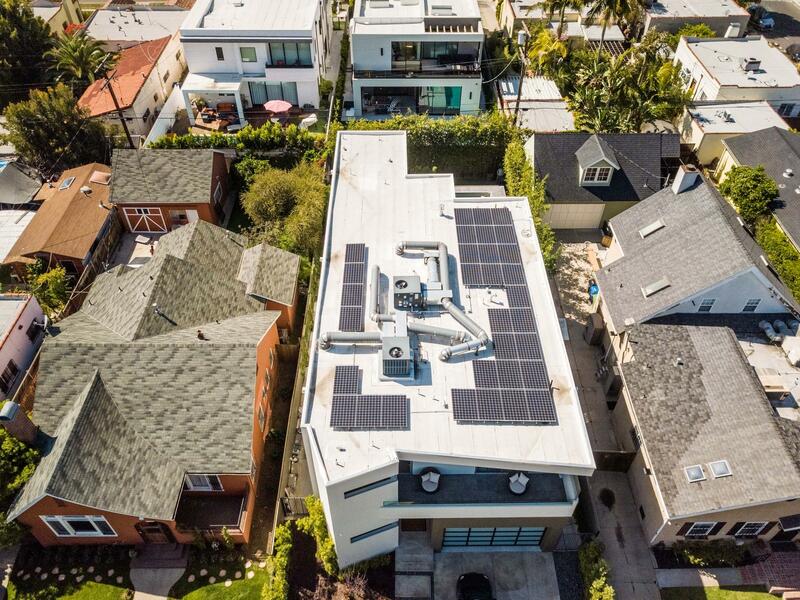 - We offer a number of customized financing options for both residential and commercial clients, including PACE, solar financing, and traditional financing. We tend to think of solar energy as a friendly handshake with the sun; a cosmic gift to our pale blue dot. 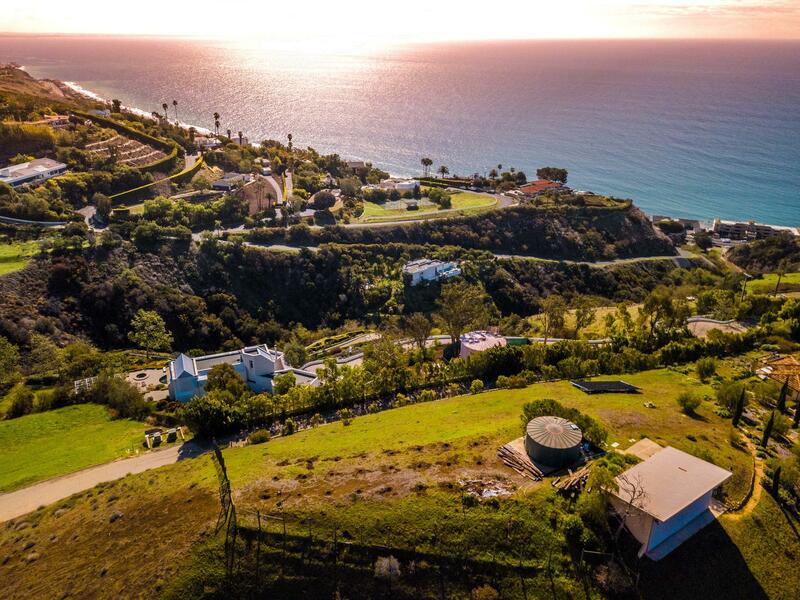 We at Treepublic Energy want as many people to experience the joy and benefit of harnessing the photons of our nearest star for their daily household, commercial, and industrial energy use. After all, those photons did travel almost ten minutes to get here—let’s make their trip worthwhile! We pride ourselves in providing the highest and best value renewable energy and energy efficiency products. We scour the market for components of the highest functionality, durability, affordability, and design, and promote only those which meet the most stringent quality standards across the board. 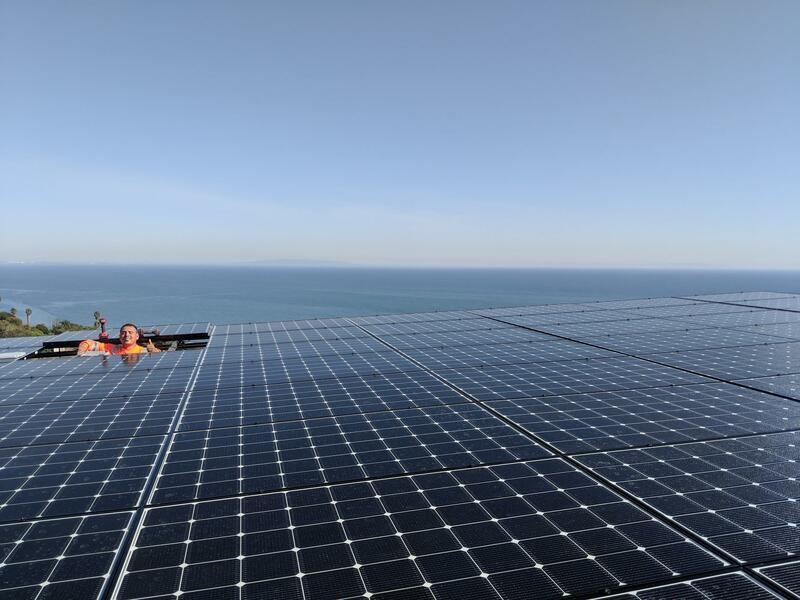 We are skilled PV installation professionals who work with the understanding that installations are meant to be safe, efficient, and able stand the test of time. 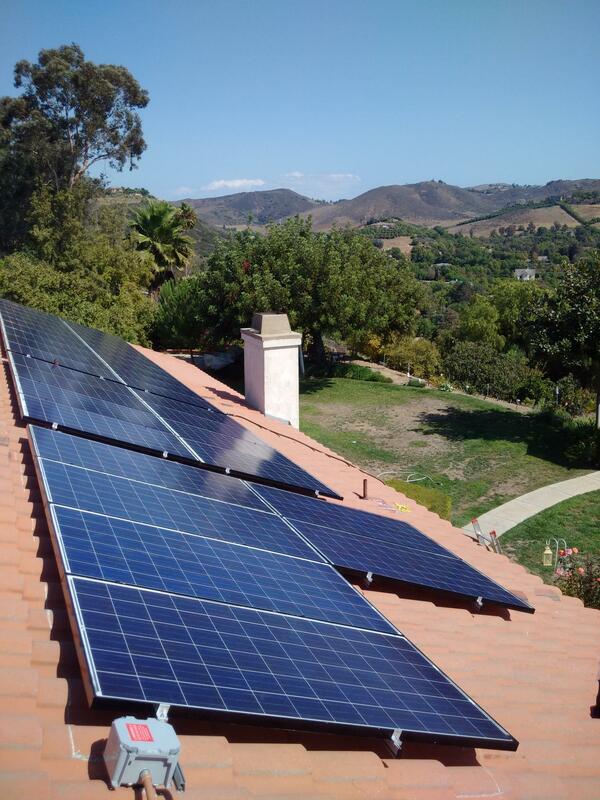 Our crews have 80+ years of combined solar installation experience across hundreds of systems statewide. We think of every installation as an extension of our own, which is, after all, where we began. We believe in the philosophy that anything we do defines everything we do. 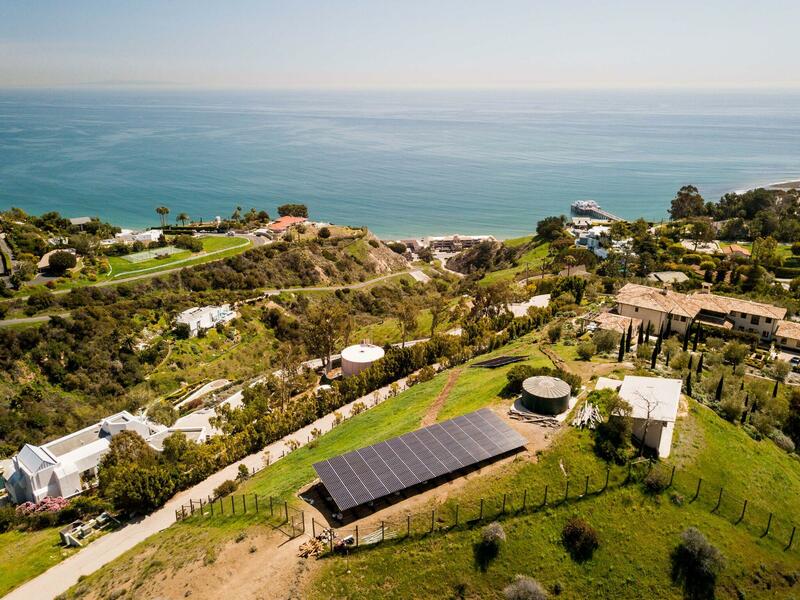 There’s a reason why we’re gaining traction as a well-regarded solar company in Southern California, not only with our customers, but with all our stakeholders—including utility personnel, and building department inspectors and engineers. 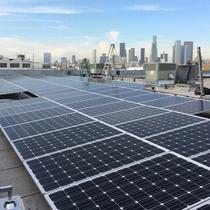 Beautiful 50.0kW industrial installation near downtown L.A. Solar at High Altitudes: Meeting Snow Load Requirements means distributing weight across more points of contact. "Amazing value + quality. Highly recommend!" This review is long overdue! 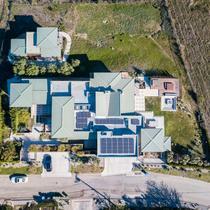 Treepublic installed solar panels and an EV charging station at my home in July-August 2018. 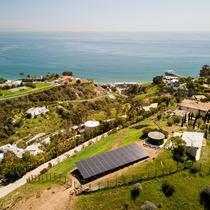 I got bids from multiple solar panel installers before choosing Treepublic for the project. From the first contact onward, Omar was very approachable, responsive, and knowledgeable. I never felt like I was speaking with a salesperson - a rare and refreshing experience in home improvement! His prices were the most competitive out of the bids I received, especially considering the tier of products I wanted. I found his team to be both professional and relaxed, especially considering the fact that they were doing the installation during the height of one of our summer heat waves. I will note that the overall installation timeline extended a bit longer than I expected/wanted, but a few weeks' wait is well worth it for great quality from a company I genuinely like and *want* to support. When there were some snags in the timeline, they were very gracious and offered me a free weather-based irrigation controller to help greenify my home even more! 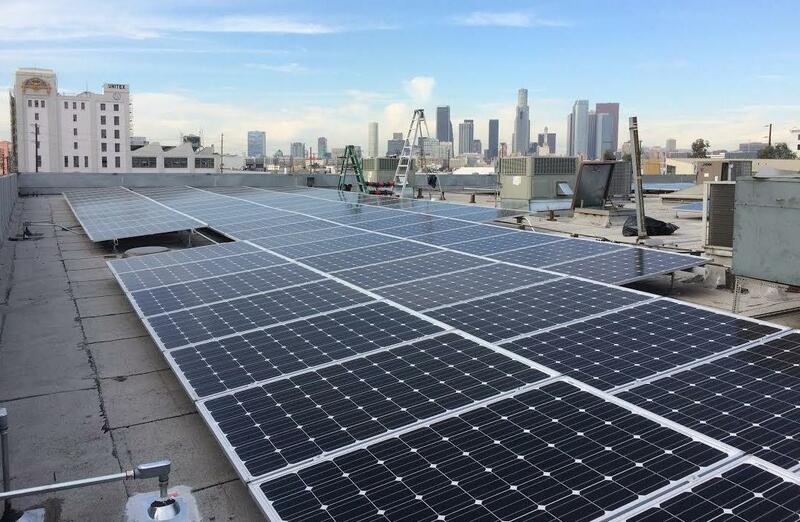 Since the installation was completed, Omar has continued to answer any questions I had about the panels' productivity, the connected smartphone app, and my LADWP bill. He really makes you feel like a member of the Treepublic family - I even received a thoughtful gift from them over the holidays. 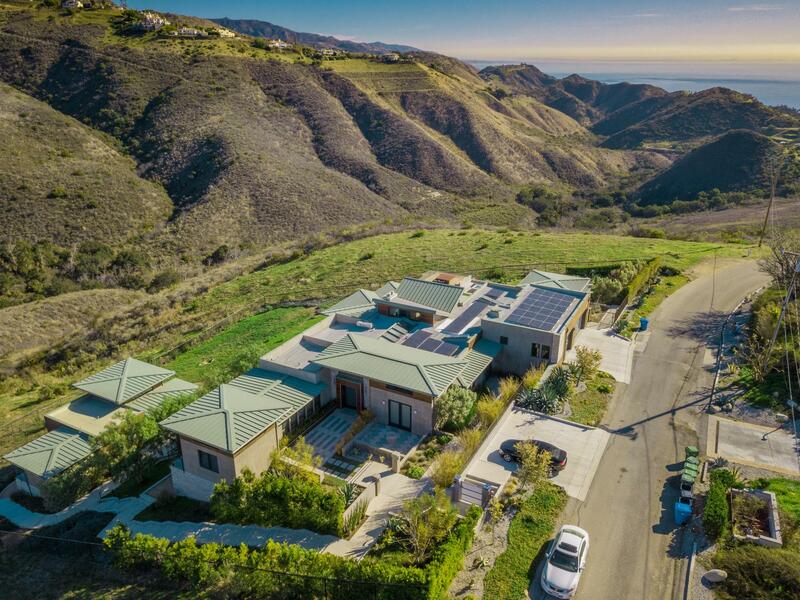 In a solar panel landscape that is increasingly being dominated by huge companies with smooth salespeople offering seemingly competitive bids, it is super refreshing to find a local operation like Treepublic! "TREEPUBLIC is the way to go!!!!!!!!" Let me first start by saying I am extremely picky and a perfectionist when it comes to everything that I’m installing on my home or anyone I have hired I expect the same. Trevor and his team from TreePublic break the mold for you standard contractor. They themselves are perfectionist and the system I had installed not only is functioning amazing it looks great! 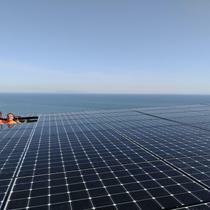 I climbed up on the roof to take a look at the work from the panels to the conduit runs they look perfect. Trevor never hesitates to pick up a phone call or adjust to the customers’ needs and I can be a needy customer at time. I have and will continue to recommend this company. Another note I have noticed with other contractors how much of a mess they leave after the job they left my job clean if not cleaner than when they got there. If your still indecisive take my word for it this is the Solar company to choose. 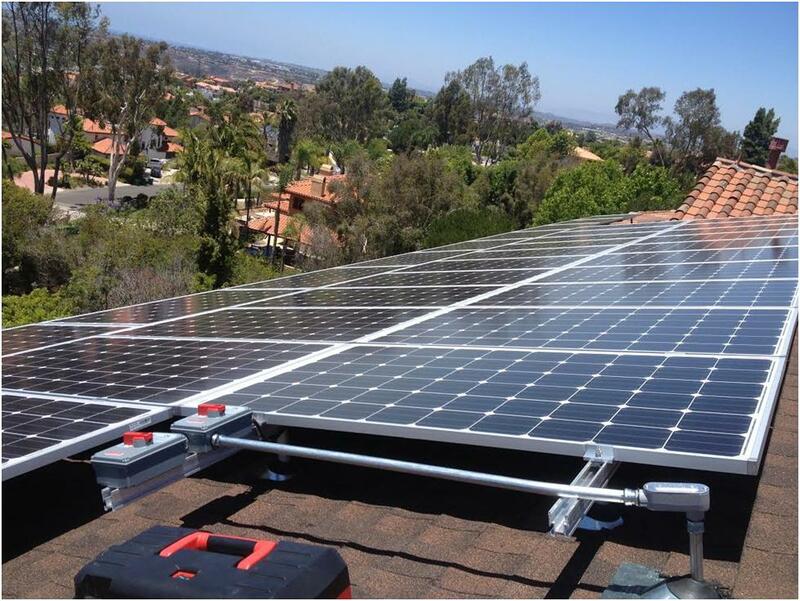 Treepublic installed an 8kW system for my home in San Gabriel. My wife and I both work long hours and Omar and his team were able to work around our busy schedules to do the job promptly and efficiently. We solicited bids from three companies and Treepublic was the lowest, although I would have picked this company at any competitive price. Omar and Trevor responded to all inquiries promptly, returning emails and even meeting me after hours to accommodate my schedule. The installation looks immaculate. Between the responsiveness of the team and the quality of the work, you can really tell that these people are passionate about the work they do. I cannot say enough good things about Treepublic. 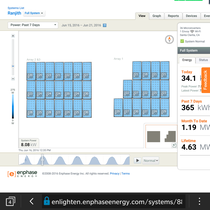 I found them through EnergySage, where I got quotes from 8 providers. I spoke with 4 of them to follow up. The big franchise companies will try to sell you on their warranties and to convince you that just because they are big, they won't go bankrupt over the next 25 years. As Enron investors how sound that logic is. We found that the big companies weren't willing to come out to the house to look at the roof unless we signed a contract first. They wanted to do everything via satellite. Treepublic came to our house twice in connection with the design. The result was that their designs were much less accurate and effective than Treepublic's design. 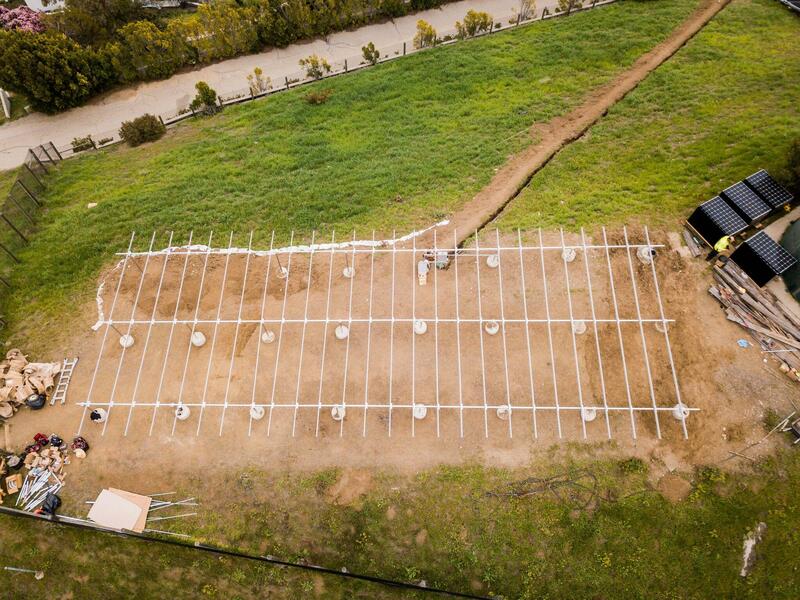 Treepublic's owner was in contact for the entire process, was in close contact with the installation team, and sat at our house for 4 hours waiting for the final inspection to make sure everything went smoothly. With the big franchise companies, you likely won't hear from the salesman again after you sign the contract. Treepublic was fantastic and I cannot recommend them highly enough. 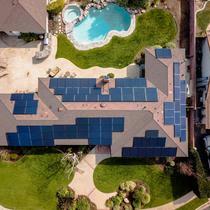 "Tree Public is the Amazon of solar customer service!" Ok so here goes a review that will probably sounds FAKE however I can assure you I am a real customer of Tree Public and you are welcome to come to my house to see their work! Long story short, I initially found TreePublic on Yelp but then continued to do some additional online research about them. They had GREAT reviews from everyone so I had them bid on my project (one of many bidders) and their response time was by far the best of the best and their pricing came in VERY FAIR AND REASONABLE however their customer service, respect for the customer, attention to detail, and overall feeling of confidence that they give to the customer, I was happy to hire TreePublic! The owner Omar, personally spent his time with me both during the sale process and especially during the installation and AFTER SALE process. I felt super comfortable with Omar and his installation crew. His installers were the cream of the crop in terms of the quality of their work and their attention to detail. They accidentally broke more than "just a few" concrete tiles on our roof during the installation process and went out of their way to not only tell me about them and what happened, but also to get my permission to replace them...ALL OF THEM! I am SURE that this "customer service gift" costs them thousands of dollars in both material and time to reinstall new ones however NOT once did Omar EVER call me with that inevitable "bump" in price due to "excessive broken tiles". After this happened I knew that I was dealing with a really honest guy in Omar! Bottom Line: Consider me a friend of yours...who's advice and referrals you totally trust... and I told you about TreePublic when you was talking about installing solar panels. 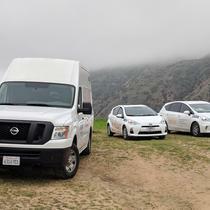 They are the "Amazon/Nordstroms" in customer service in the solar business around Los Angeles/Ventura. I am not a fake reviewer, I'm not related to Omar, I wasn't paid a penny (except given a good deal to start with) for this review. 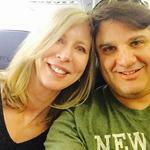 You can see my profile as I review lots of different business and have been doing so for years. This review is 100% legit and I strongly recommend TreePublic to anyone looking to add solar panels to their house including back-up batteries. From first meeting with team at Treepublic Solar to the final installation, I have to say that the experience was exceptional, professional and timely. 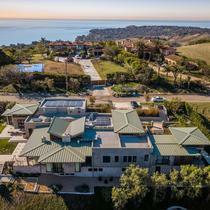 The entire team is knowledgeable which made the overall process very smooth. Highly recommended company for your solar needs. Omar visited and put us at ease straight away, I didn't feel I was being "sold" which was a pleasant change from previous companies. 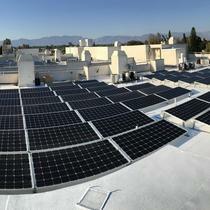 Installation was quick and I am cost neutral which was the goal once we switched to Time-of-Use Residential rates. Highly recommended. Solar panels are a big investment, so we did a lot of research. 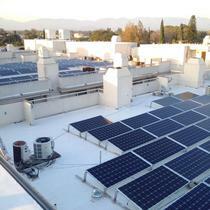 We interviewed five companies, and also received quotes online though EnergySage. We chose TreePublic based on price, and because their sales people were not the stereotypical irritating salespeople. Once we choose TreePublic, we found the people who worked for TreePublic, and Omar in particular, to be friendly, knowledgeable about the technical details, and very responsive via email, our preferred means of communication. The panels arrived in a crate, just as we were told, and installation went as planned, which is to say, it was uneventful. They cleaned up and our property looked just like it did before the installers came. Omar walked us through the permitting process, which at least in Pasadena, involved three inspections from the City Building Department as well as the Fire Department. 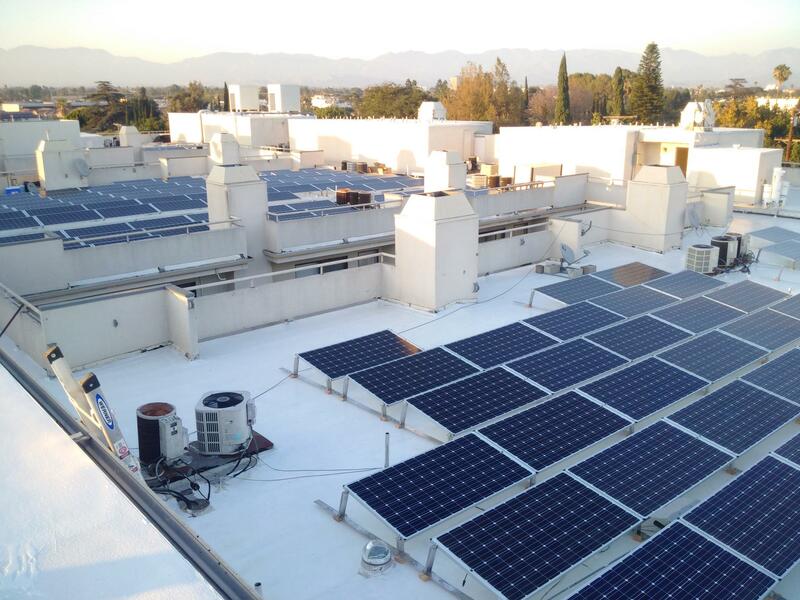 Our panels were installed in December, and with the holidays and the Rose Parade and Rose Bowl game, the City inspectors were not very available. Although we were anxious to start using our panels, Omar relayed information about the City’s timing, so we were never left wondering what was going on. Omar also clearly explained the tax incentives we could expect (and did receive) and set up an app so we can monitor our electricity production. 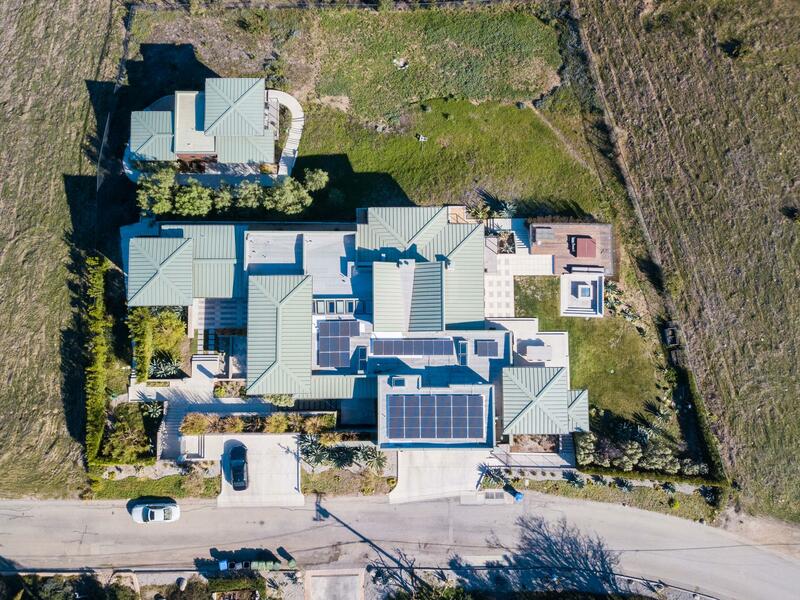 We have an 8.91kW LG system consisting of 27 high-efficiency 330W solar panels with built-in Enphase microinverters, which had just come out. Our roof is fairly flat, so they are not visible from our property. We just received our first bill where we have had panels in operation for the entire time, March 15 to May 15. Granted, it was fairly sunny and we did not run any AC, but we are still thrilled that our electric bill is a credit of 109! Our daily electric usage was -12 kWh, whereas in the same period last year it was +33 kWh, resulting in an electric bill of nearly $300. We calculated a six-year payback period on our solar panels, but your mileage may vary, as tax incentives and tariffs may have changed. 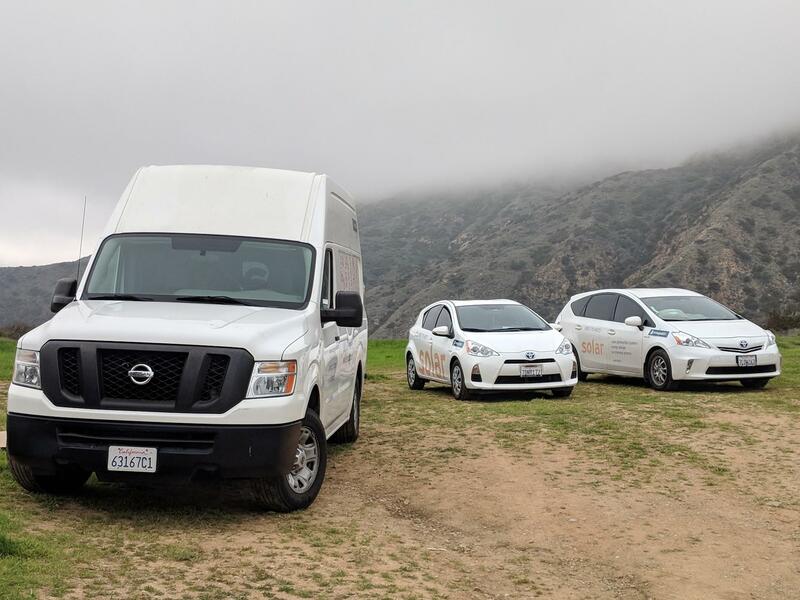 Although this makes no difference at all, we got positive feedback about TreePublic from the City of Pasadena when we went to a Pasadena-Burbank-Glendale electric car event. The person at the Pasadena tent was the person who did our inspection and interacted with TreePublic. Over the last four years, we renovated our house, pool, and landscaping. We can’t recommend all of the contractors who did work for us, but we can certainly recommend TreePublic for being responsive, delivering what they promise on time, and for finishing the job 100%. "The whole experience could not have gone better." Treepublic recently installed 33 panels on my roof. The whole experience could not have gone better. They were terrific every step of the way. They answered all my questions thoroughly and quickly and held true to everything they told me. They were always responsive and they took care of everything for me. They made the process simple and stress free. They were never even slightly aggressive or annoying before I had made my decision. I enthusiastically recommend Treepublic! Omar and his team at Treepublic did a great job on our home solar project . We talked to a number of contractors and found him very knowledgeable, helpful and pleasant . The workers who installed it were efficient, considerate and did a high quality job. Omar was also very responsive to follow up questions and getting the system up and running, coordinating with DWP etc. All in all a very good experience and we are thrilled with our new system! 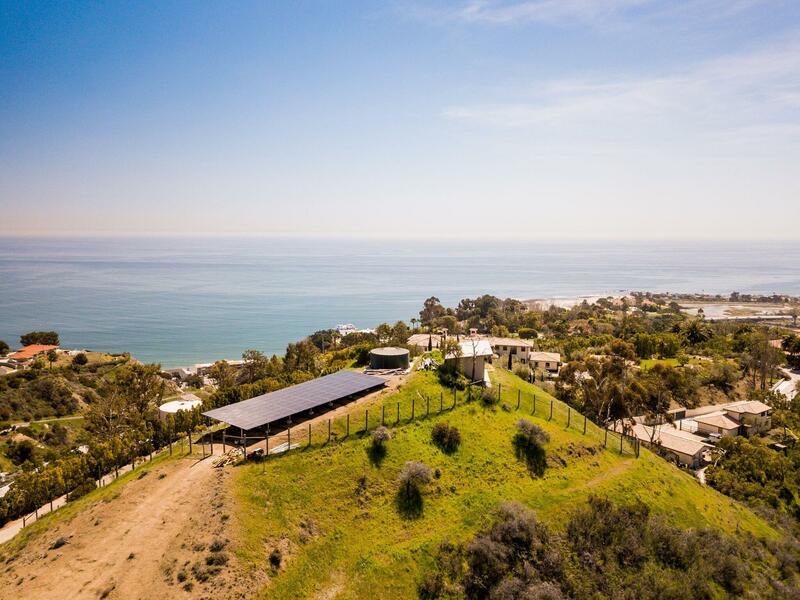 We would recommend Treepublic to anyone who’s looking to go solar. "Look no further with Treepublic"
After two years of looking into solar and solar companies, we are very happy that we finally found Omar and his team. He is everything we are looking for in a contractor--professional, knowledgeable, friendly, accommodating and honest. We cannot say enough good things about Omar. He is always available and responsive when we have any questions. Ready to help and provide answers or solutions. To top it off, he also gave us the best quote for our project. 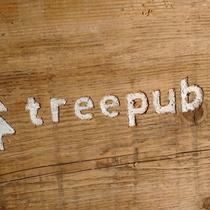 We highly recommend Treepublic! 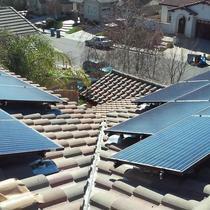 Treepublic install our solar system, top of the line panels, professional and informative about their system. We are very pleased with the system. Thanks Treepublic!! 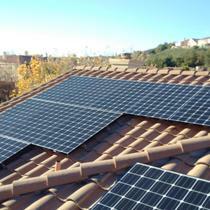 We have been very pleased with our new Roof, Solar P.V. and energy storage solution provided by Treepublic and their roofing associate Tall Roofing. 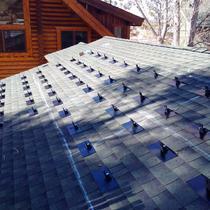 Our home was built in the very early 60’s and the roof was not able to support a Solar P.V. installation without being upgraded. The Treepublic P.V. 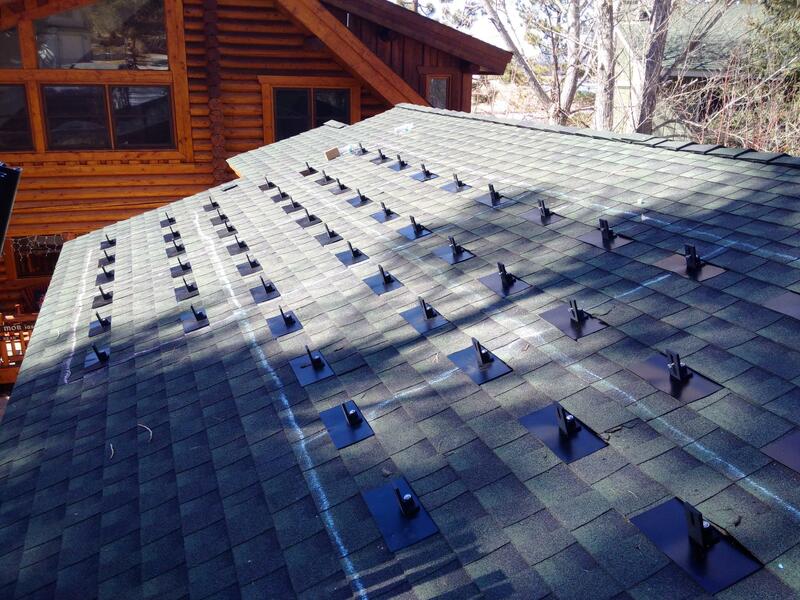 panel installers and the roofing contractor coordinated to have the panel racks installed concurrently with the new roof so the roof warranty includes the rack supports. We were particular about the equipment we wanted on our house and Treepublic was able to provide exactly what we wanted and did a professional installation at a competitive price. 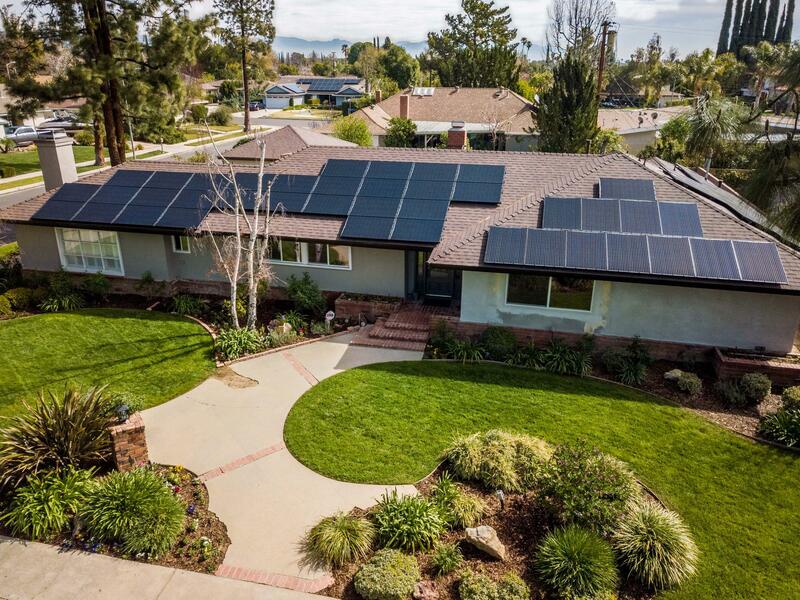 "Outstanding solar installation in West Hills"
If you’re reading this and looking for a solar installer, then I was in your shoes just a few months ago except I went through this twice. So, this testimonial is very emotional and raw. I’m not getting paid to write this nor am I getting a discount on my solar installation. I am just so happy that I chose Treepublic the second time around. I even volunteered to make a video testimonial because I was so grateful for their service and installation. 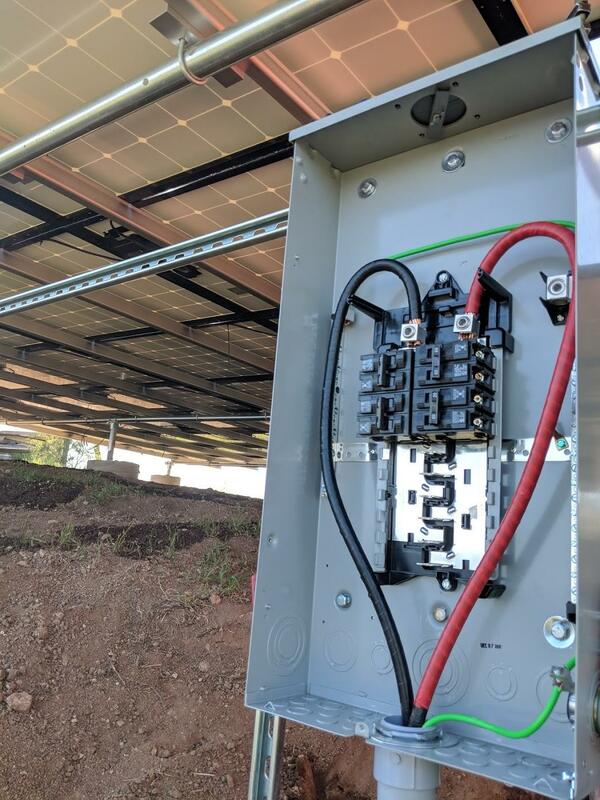 Having been unceremoniously dumped (fired) by the first solar company I signed with, I had to find a new solar company to complete an abandoned, in process, main panel upgrade and then begin installing my solar panels. 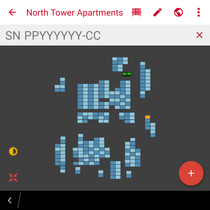 To be sure, my project was not easy: I wanted to replace my roof, and I had to brace my chimney, and I wanted to run the solar electrical conduit through my attic. I had roofers, HVAC people working on furnace ducting removal, chimney repair folks, and solar installers to coordinate. I will admit I am a picky and detail-oriented person. But why is that bad, when the house belongs to you? In my search for a new solar company, I looked at the reviews (number and rating), at, the Buildzoom BZ score, the number of projects, the number of permits, their average project size, and their profile. I knew I wanted a company that had solar installation and roofing offered together. But what really sold me on Treepublic was their description, and the wording in their reviews. Treepublic seemed to genuinely care about every customer, and they seemed to specialize in cleaning up other people’s solar messes. Sure, Treepublic doesn’t have a huge warehouse but don’t let that dissuade you. It is the people that matter the most in your solar installation – the installers and the management. That is where Treepublic is truly the hidden diamond. 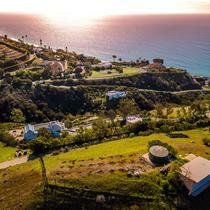 They are hands on with the owner working at your property as well as the office folks. The installers are super professional – they care about your house and the job they are doing. When I met with Omar, the owner, I told him I was very picky, and I fretted over every detail. 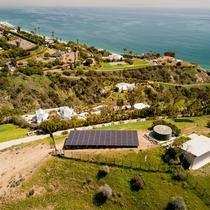 He said, “no problem.” I described how I wanted the inverters and the power equipment for the solar panels to be installed in a small area on the side of my house. 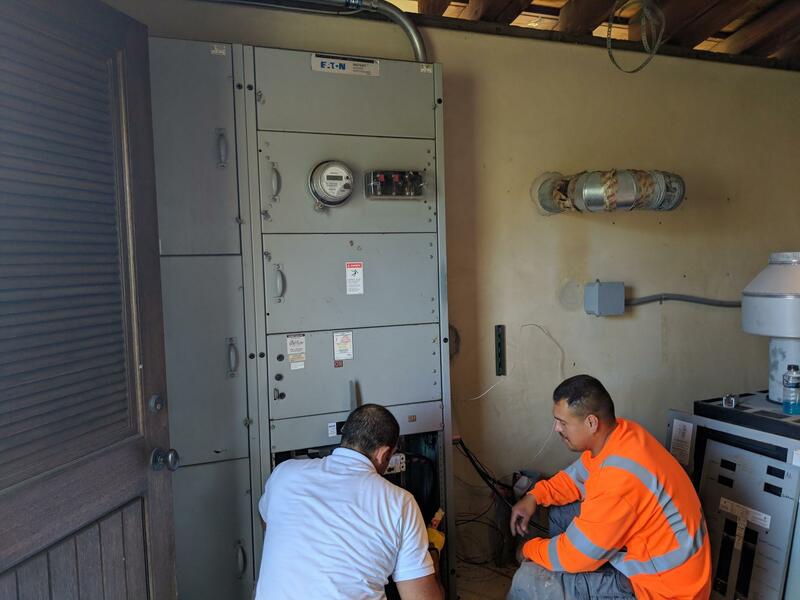 Omar had to work around an already installed new main panel, as well as upgrade the existing breaker box (per the direction of the Building and Safety Inspectors). What he crafted as a solution was truly a work of art. I am thrilled with the layout. 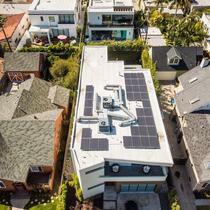 It passed the inspection, and Omar was even able to rearrange the planned layout of the solar panels to accommodate more panels and even change the type of panels at the last minute to accommodate my desire for a sleeker look from the street. You should see what they did in my attic, for the electrical conduit run. Amazing! None of this would have happened with that other solar company. Don’t be misled by the number of review alone, and the overall review rating. As I later found out, those ratings can be “manufactured” by various financial incentives to ghost owners and even dissatisfied owners. If you are reading Energy Sage reviews, they use an algorithm to assign potential companies to your request. Ignore it and select Treepublic. I know because I didn't see Treepublic in my first search/selection for a solar company. You will be happy you went with Treepublic. I am. "Treepublic Review-Top Notch Install and Service"
I received pricing and details from approximately 12 different installers. I spoke with 3 of them and met with 4 other installers. Selecting a system, system size and an installation provider can be a daunting task. Omar spent a considerable amount of time answering all of my questions, including what size system I needed. He coordinated with my roof installer and met all timelines. The installation was first class and Omar was there to answer all my questions after the install. The system has been operating perfectly and I could not be happier. 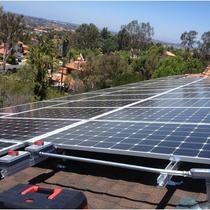 I used EnergySage to obtain quotes from local solar installers and Treepublic was the best quote bar none! 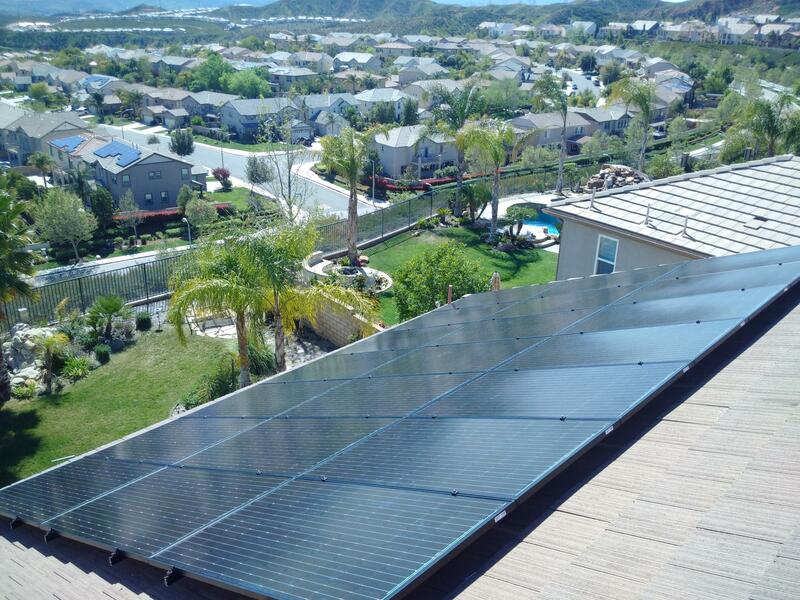 They used top-of-the-line panels and inverter (check out the EnergySage ratings system) and they came in at the lowest price. The guarantee on their work and their products was also the best. Their service has also been excellent. 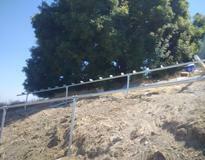 My installation was complete in two days and passed LADWP inspection the first time. They have done all the paperwork and nudged the LADWP to complete the process in a timely manner (no small feat). Their sales rep, Trevor, has been prompt to reply to every question I have asked and every email I have sent. What more can you ask for?! Couldn’t have asked for a better experience. They were able to install my solar system within a day! The only hold up was with LADWP. After the inspection and meter install, my system was up and running in about a month, which I think is pretty good timing. Omar and his team were great! Easy to communicate with them and prompt with responding. Definitely would recommend! I highly recommend Treepublic. Omar and his team did a great job throughout the entire process of installing my system. 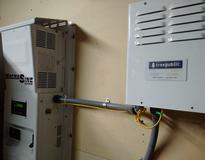 I did a lot of reading on solar panels and inverters before selecting Treepublic. Not only did Treepublic spec out the best technology for my needs but they also quoted the lowest price per kilowatt. No corners were cut on installation either. They took the extra time to replace roof vents to give me a nice rectangular layout of the panels, they routed and painted all the conduit to hide it as much as possible, and the stucco work around the new electrical panel was top notch. I had my system for a month now and couldn't be happier with it. 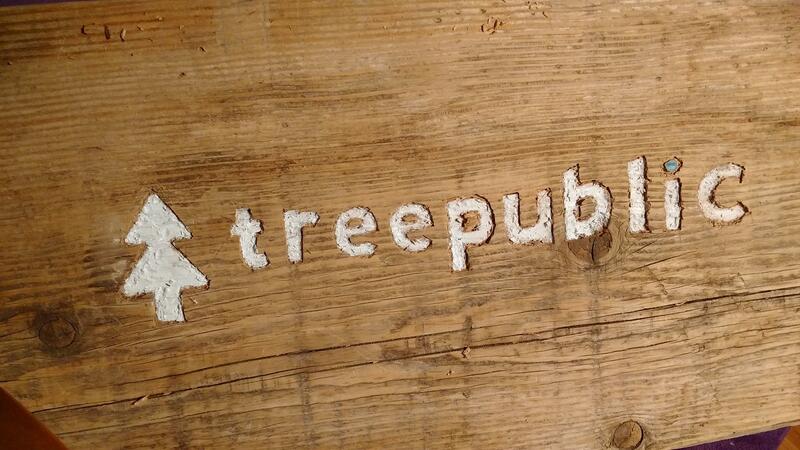 You won't go wrong with Treepublic. They are knowledgeable, professional, and will provide you with a great system at a great price. We were satisfied with the service we received from Omar and his crew. Our install turned out to be more difficult than normal, but Tree public delt with it and problems were solved. We did have to pay an additional amount for roof work but there was no way I would expect them to pay to upgrade my roof. Omar found a roofer that charged way less than any company we could have found. Overall they did a good job and the price was better than anyone else. I would certainly recommend them to put solar on any home. 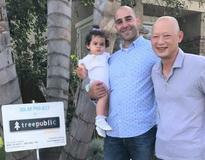 I had a great experience with my chosen solar company, Treepublic. I had my system installed a couple of months ago and I thought it was great idea in saving time using a satellite image for an initial appraisal. But the real show starter for me was when the salesperson got up on the roof to check its physical ability to support the solar install. Challenge! 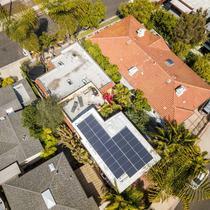 Try finding a solar salesperson who will actually get up on the roof? 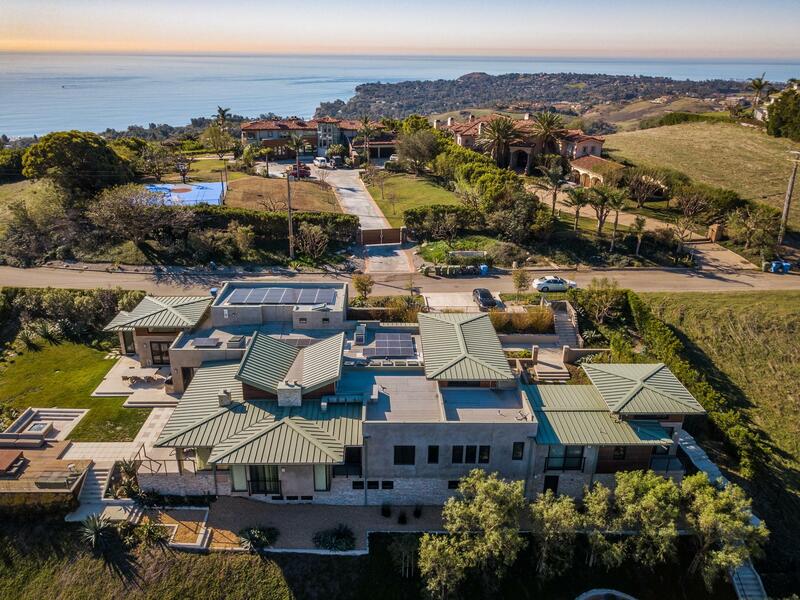 What really impressed me was the complete openness of the salesperson who told me upfront there would be a period of time before any real progress since the structural and engineering drawings took time to prepare. 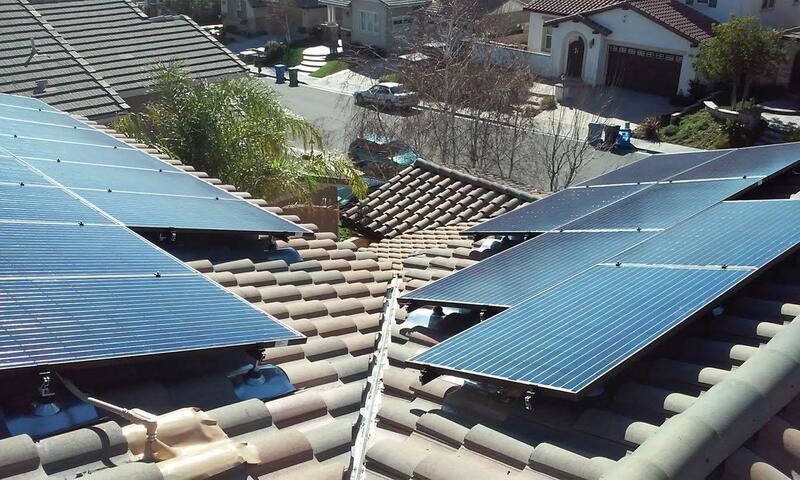 Treepublic’s rep also offered me the opportunity to come and see other installs underway by Treepublic so I could see the process, at different stages, of installing solar on a home’s roof. I live in a gated community with a Home Owners Management company. As is often the case there were the usual frustrations caused by delays and paperwork requirements. These delays never came from the solar company, Treepublic. With the patience of Job, Treepublic took each and every one of the HOA's “requirements” and tailored a solution custom to our home. The only visible piece of electrical conduit was color coded at the top where it passed through the white eves of the house roof. Indeed, nothing but that one skinny, color coded, electrical conduit, part way down an outside wall, reveals the fact that solar had been installed. The electrical components also had to be placed completely out of site, inside the garage. Even then, the internal electrical conduit was color matched to the wall color inside the garage. Hey it's your roof, pick who you like to install your solar, but since you have to listen to the solar pitch anyway, at least talk with Treepublc. These guys really knows their stuff. After much research I decided to get solar panels. 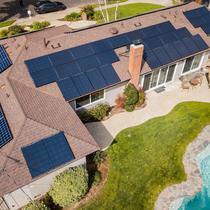 I got several quotes from enersage vendors and selected the best three based on their reviews, pricing, and quality of panels. After chatting with those vendors I decided to meet Omar from Treepublic. After speaking to him in person I decided to go with Treepublic and I am so glad that I did. I was very inquisitive and skeptical, but Omar was able to put me at ease and answer all my concerns. He and his crew were very professional, clean, and provided excellent services. 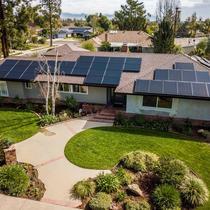 I highly recommend Omar and Treepublic to provide solar panel installation to anyone looking for great services and pricing - you can't go wrong! 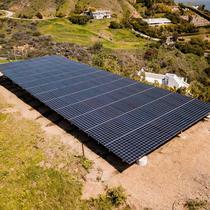 We had a 38-solar panel system recently installed by Treepublic at our avocado ranch in Ventura County. Not only have we seen our bill plummet to next to nothing, we found the whole experience rewarding and headache free. 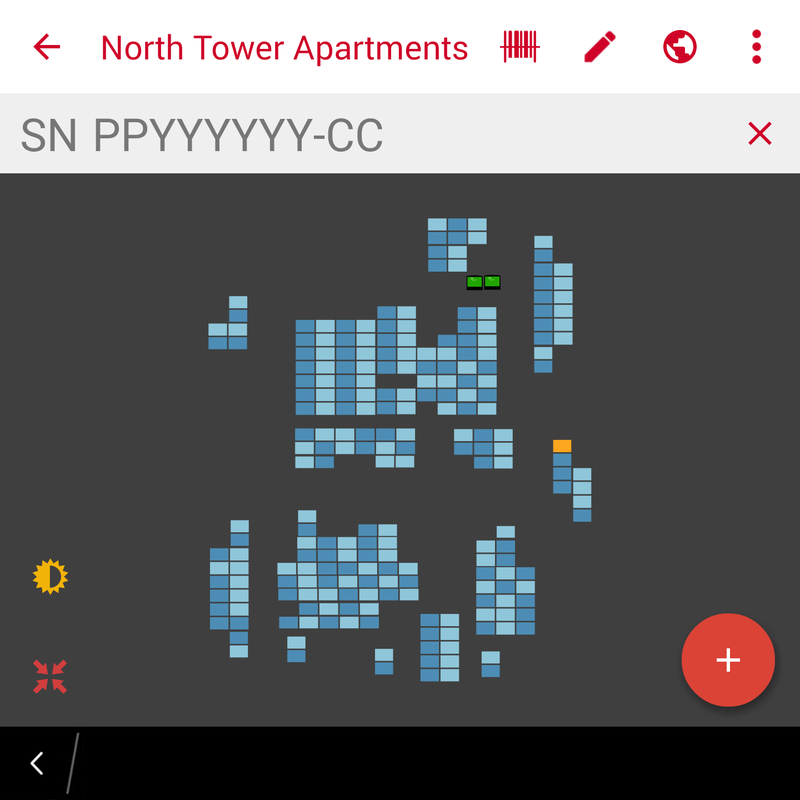 Treepublic took care of everything including design/engineering, permitting, waterproofing, and setup of a user-friendly monitoring system which we use to track system performance on our phones. They color-matched all exposed piping to stucco and roof, as well as a short section of fascia board (attention to detail was impeccable). We would highly recommend working with Treepublic, we absolutely loved the experience. 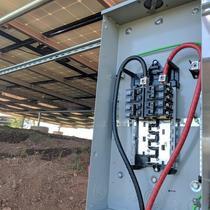 System specs: REC 290W panels + SolarEdge Inverter/Optimizers. 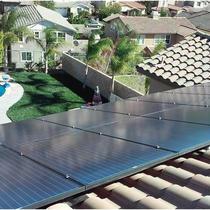 "Excellent solar installer. Highly recommended"
I would highly recommend Omar and Treepublic energy.  They are a fantastic company that provides excellent service. 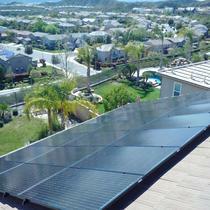 Omar is extremely knowledgeable about solar installation and is very responsive to questions. Their prices are fair and the install crew did a great job and fast. "Treepublic finished instalation of our solar system with great satisfaction"
Starting with the first meeting with Omar (the owner) to the conclusion of installing our solar system, we had very pleasant experience with Treepublic. We were looking for a good quality system and clean professional installation within the stated time frame and this is exactly what we got. 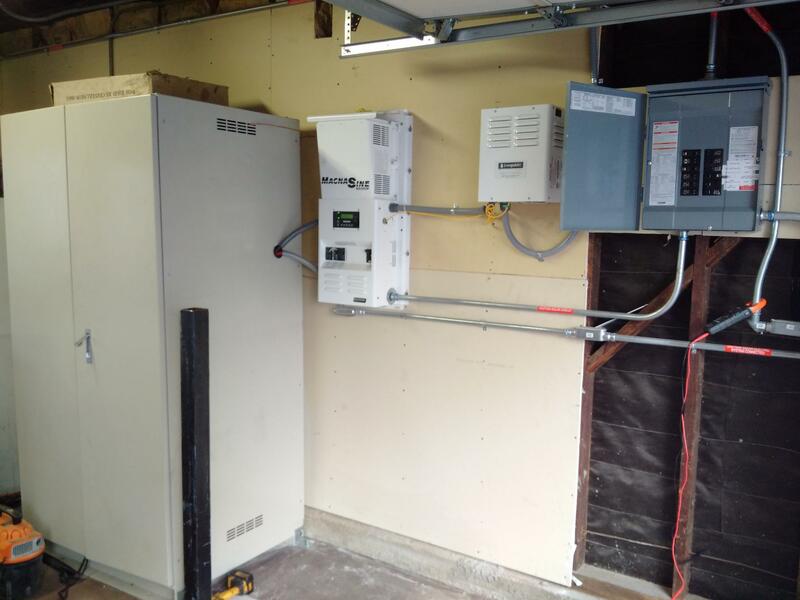 Treepublic installed 30 LG 305W panel system, a total of 9.15 KW (enough for our house based on our electric consumption),30 Enphase IQ6PLUS micoinverters plus all necessary electronic and WiFi equipment. 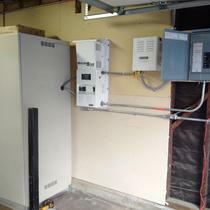 Our existing electric panel (125 Amp) had to be upgraded to (200 Amp) as well and a new one got installed by Treepublic. 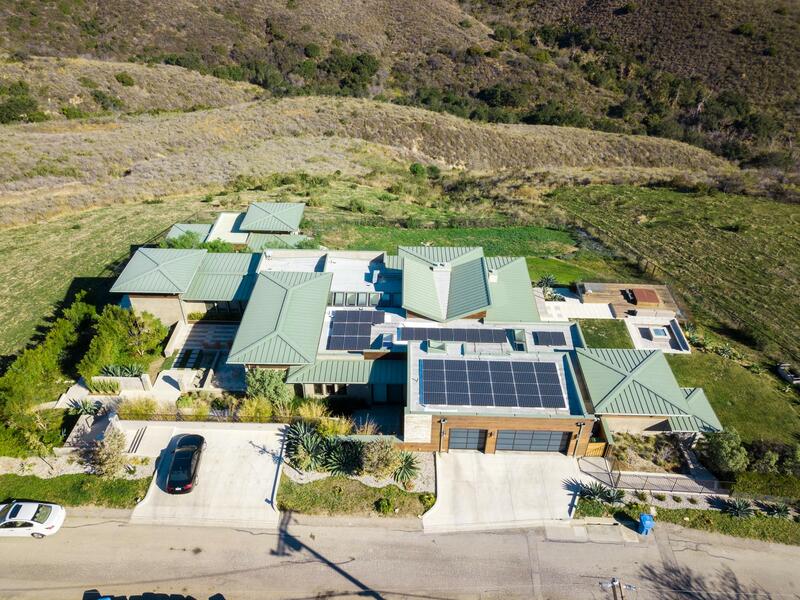 We are very impressed by how ecstatically pleasing the solar panels look on our roof and all boxes on the wall – we can’t even tell apart the new stucco around the new electric panel from the original stucco. 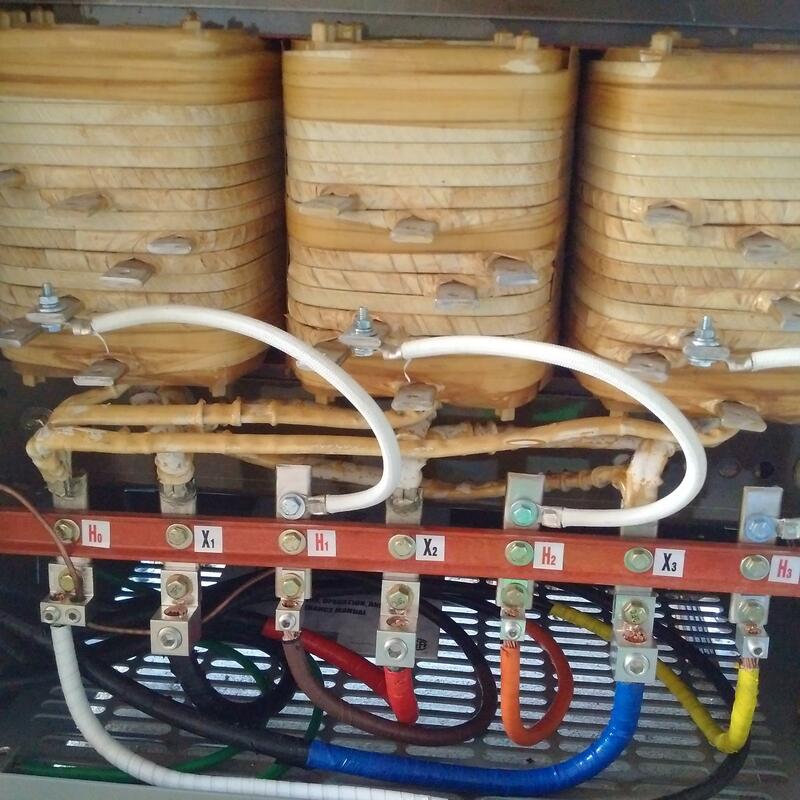 All steps of the project, survey, design/engineering, permitting, installation, system monitoring setup, as well as electric system upgrade went smoothly - all done by Treepublic without any involvement on our part. 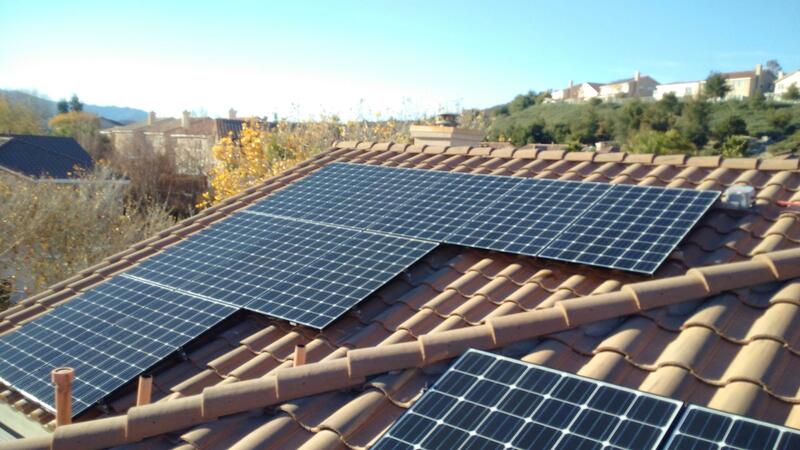 The all black LG panels blend very well with our roof’s grayish tiles. 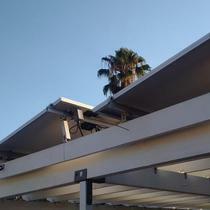 Treepublic even painted all electric conduits to match the color of the tiles on our roof. 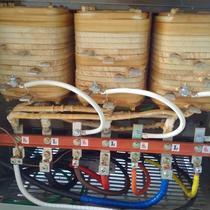 Our system is up and running and are truly happy we are generating our own power. 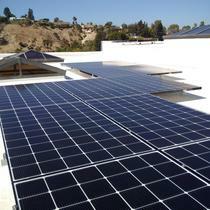 We can monitor the quantity of electricity our solar system is producing every day. In fact, production is represented by a nice clear graph on our cell phone Apps. 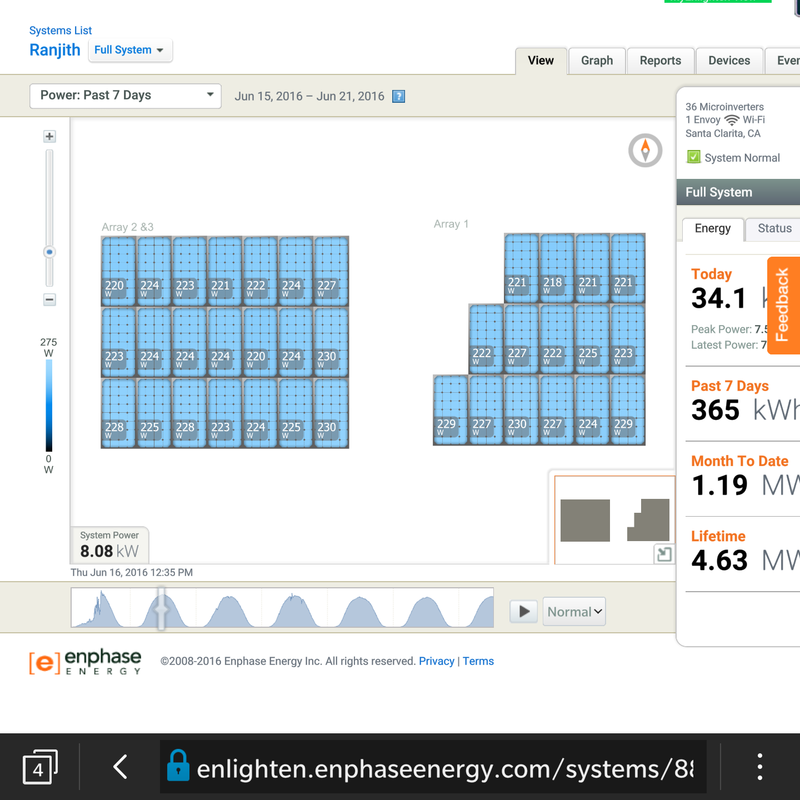 Also, we can see the total production of the day in KWh which is updated every 15 minutes. We found Omar to be very knowledgeable and easy to communicate with. He seems to know his business very well and spent enough time with us to explain the project and answer all our questions. We have had several projects in our home and we can easily say that our experience with Treepublic was stress-free and very satisfactory. 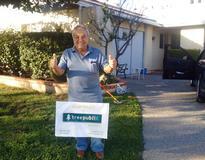 Like all the salesmen I had contact with on Energysage, Omar, owner of Treepublic Energy, knows solar. What distinguished this company for me, was Omar's passion for sustainable living. 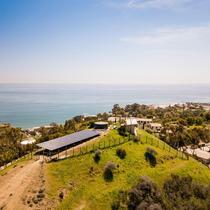 Like me, going solar isn't only about the ROI, it is about being responsible stewards of our planet. I had done enough research about solar equipment before I met with him to be comfortable in his suggestions about all aspects of going solar. 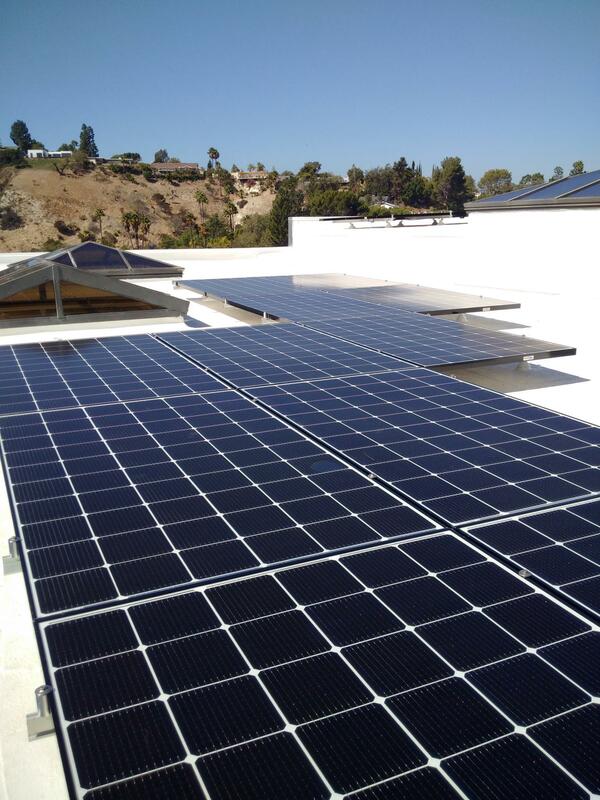 In addition, I could not be happier with the professionalism in our interactions, the very clean and aesthetically pleasing installation and the quick turn around from contract signing to panels on my roof. Five enthusiastic stars! I chose Treepublic because they were reasonably priced and low pressure. They answered all my questions without the constant phone calls and emails you get from some other companies. Installation was completed in a timely manner. I also had an electric panel installed. Great company. When I set my sites on getting solar for my home, I did extensive research from best products, to warranty, to company reviews! I had 8 solar companies give me their pitch and cost estimates. The range of cost and proposed produces was all over the place! Fortunately, I was able to narrow it down based on what I determined to the best dollar value, product choice and company reviews! From day one, Omar from Treepuplic did a wonderful job! His presentation on the products, installation and completion process told me that they are the one! 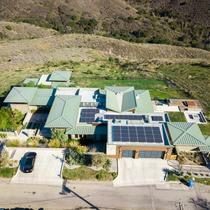 He was able to provide me with the solar panels and microinverters I wanted! More importantly, he heard what I had to say and responded with assured confidence that I would be very pleased with Treepuplic! Oh, did I mention that his cost estimate was great too! 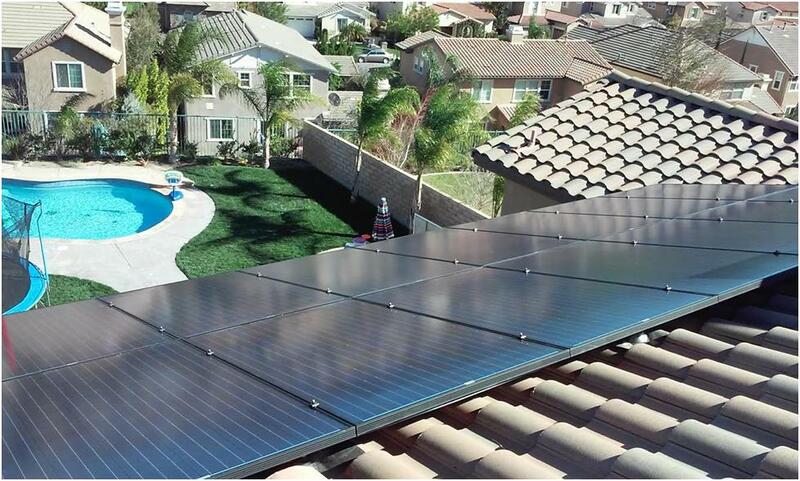 From getting the required permits, to installation, to final approval from Edison, Omar and company did it all! I did not have to worry about anything! 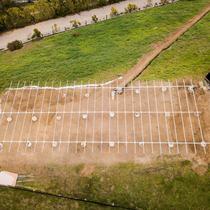 Oh, let me not forget that the installation crew did a stellar job! Very professional! Also, Omar is a hands on guy! From presentation, to final installation, he was there working with the crew! They even painted the conduit to match the roof and house color! So nice, you would have thought it was there when the house was built! All in all, I could not be happier with Treepublic! My sincere thanks to all who worked on my project! 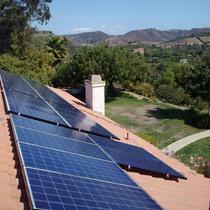 I had been shopping solar companies for about five years but never feel comfortable pulling the trigger. But now with a combination of how great energySage and treepublic are I finally have solar installed. Omar is the owner and out of all the companies I talk to he answered most questions and I never felt like he was just trying to sell to me. I always end up having a lot of questions and every time I emailed or texted him he'd shoot me an answer right back. 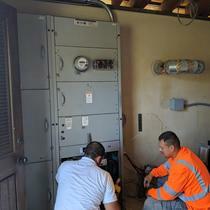 His team was professional and fast and even came out on a holiday to finish up the installation. They even cleaned up some construction debris left by another contractor from a previous job without me asking. I'm so happy with the service that the last thing Im going to mention is how great the price was. Of all the quotes I received they were the highest output at the lowest cost with the best warranty of any quote I received. I've since recommended them to a few of my coworkers in a couple of my friends who are considering solar. I would absolutely use them again if I end up moving to a new home. My roof was leaking due to a bad solar installation. 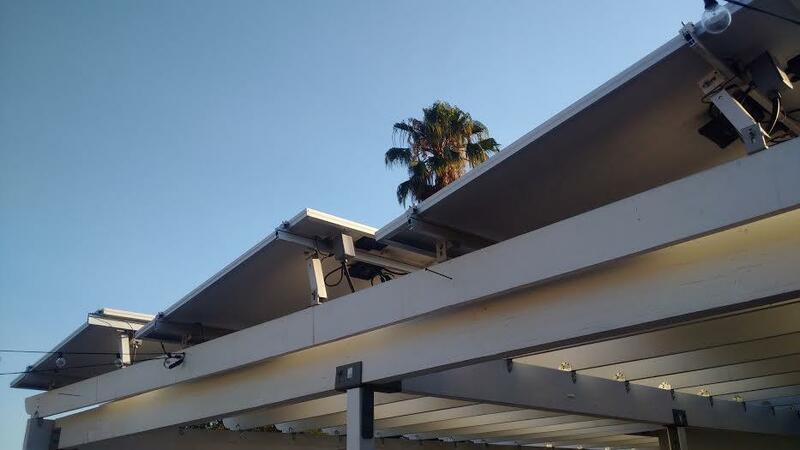 Big problem since Solar company refused to fix roof after promising many times to fix leak. Most roofers will not move solar and solar companies will not touch another company's solar. . Found Treepublic and Omar came out. He agreed to remove solar, repair roof, and reinstall solar. He also wrote up all the reasons why the solar install led to the leak which will be used in court. Omar and James worked very hard to fix my problems in a timely and affordable way. Great job by a very professional company. Highly recommended. 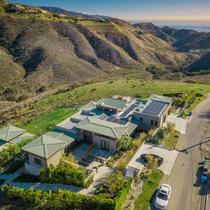 We recently completed a renovation project and with the added square footage came increased electricity bills. Our old system was also really underperforming. We called Treepublic to add panels to our existing system. Not only were they able to integrate without our existing system (same panel aesthetics and metal frame structure underneath), but they serviced the existing system--we're now getting 20%+ more out of it (they showed me the difference on the screen from the same time the day before). With the new panels, our bill is down to nothing again! Thanks guys! !